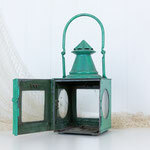 A fabulous old railway lantern has been painted a beautiful, vibrant jade green. 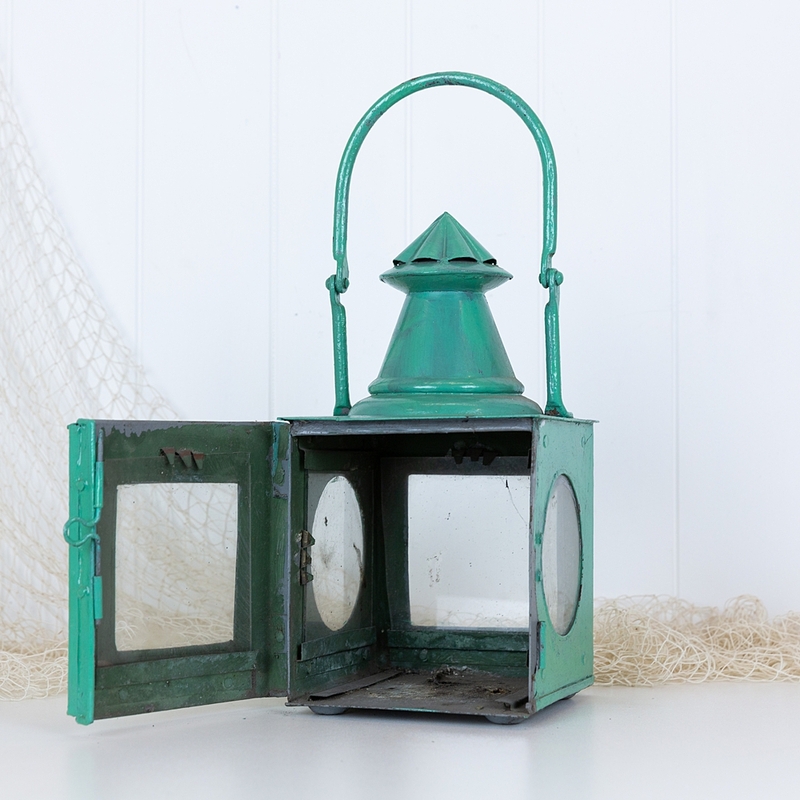 All its internal working are long gone, but the addition of a small candle or battery powered light would bring it back to life. 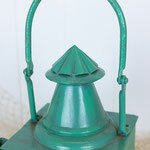 Or simply use it s a display piece. 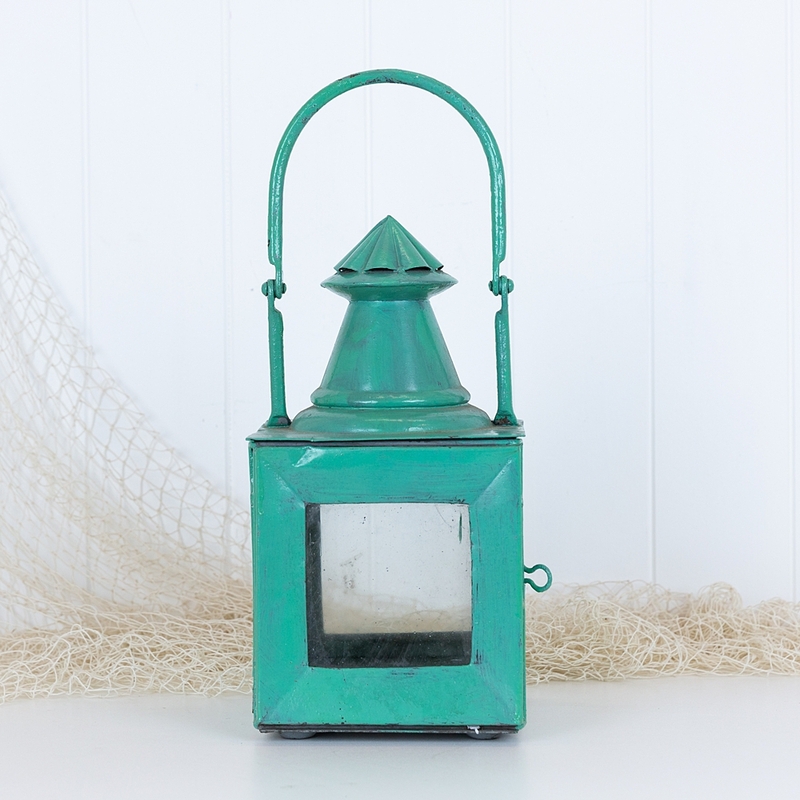 Perfect for a coastal, country or vintage inspired space. 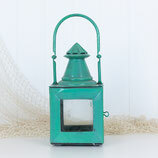 Measures approx: 32cm x 18cm x 16cm 40cm when handle up.